State child support enforcement agencies facilitate the legal establishment of paternity for children born outside of marriage, and enforce the payment of child support by noncustodial parents. They are directed to move cash resources from a nonresident parent to the home of his or her child. Ideally, this income transfer provides financial support for children, and security for custodial families. This paper describes how the agency is challenged in the fulfillment of this responsibility by the adversarial nature of its own process, and by the intractable poverty and unemployment (among other barriers to economic security ) of a significant portion of its caseload. • Many noncustodial (mother and fathers) who are unemployed (even long-term unemployed) receive child support orders they cannot pay, based on a presumed earning capacity. • Current child support policy and practice may be detrimental to economic security and well-being of low-income individuals and families. • The structure of the US child support system may conflict with the goals of security and stability for children and families. 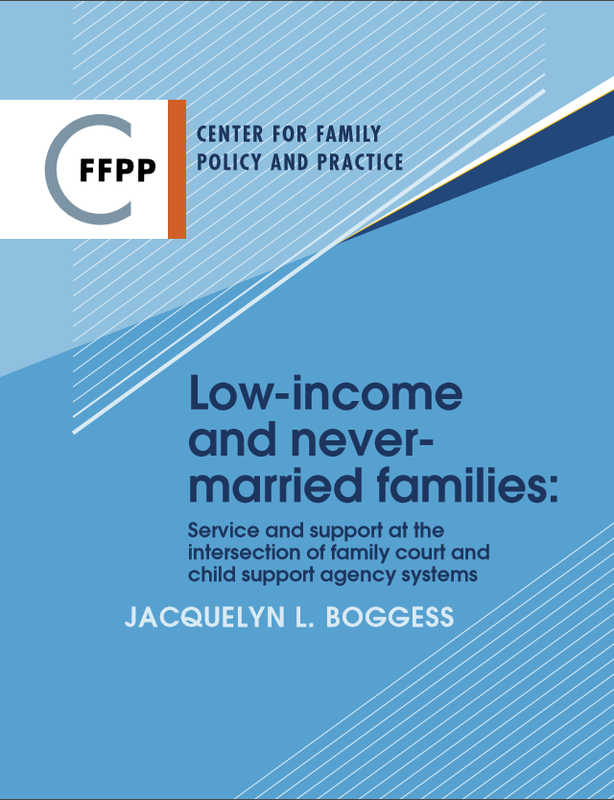 • Racial inequity and disparities in poverty and unemployment in the US suggest a thorough inquiry into the impact of child support policy and practice on families of color.